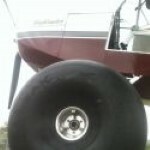 Wings Forum • View topic - Would you use a Free WingsForum Aircraft Builder's Log? Would you use a Free WingsForum Aircraft Builder's Log? No. I like the one I have now. Who would like to see a blog feature added that would let you keep your build log here? The Web Log (blog) will have all of features you would expect from a standard blog and from an aircraft build log. It will be integrated with your forum account so there is only one password to remember and one login needed. It's a lot of work but I'm willing to do it if people will use it. Re: Poll:Would you use a Free WingsForum Aircraft Builder's Log? It's probably a little late for me now but I have lots of PIX and handwritten log entries. Might have used it if it was available earlier on in my build. Too late for me too, but I'll throw in m2c. I started with expercraft but it was way too hard to navigate and load/annotate pix. There's still some work to be done but the Builders' Log / blog is up and running. Just click on the link at the upper-right of the page. Re: Would you use a Free WingsForum Aircraft Builder's Log?